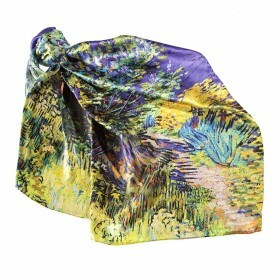 Decorated with reproductions of the museum collection masterpieces, our elegant silk scarves and pareos, shawls and cotton kerchieves can be worn to the theater or a night out, they can accompany you to the countryside or even emphasize your business suit during a meeting. 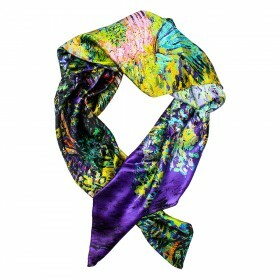 Bright prints and the usage of silk painting technique make the scarves look especially striking. The uniquely designed kerchieves will either accentuate your personal image or serve as elegant presents for your family and friends.